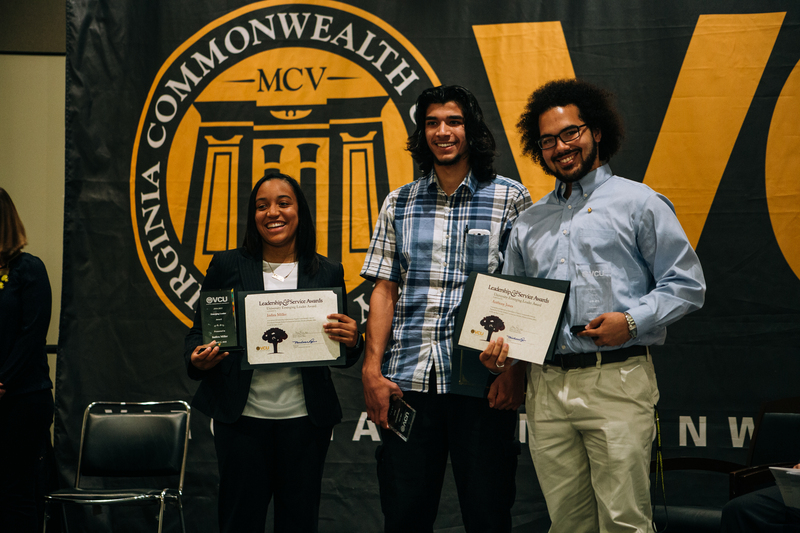 VCU’s annual Leadership & Service Awards took place on April 13, 2015 at 6 p.m. in the Commonwealth Ballroom in the University Student Commons and highlighted some of VCU’s most accomplished students and organizations. Nominations and applications were turned in during the spring semester and finalists were chosen in late March. Students and organizations presented with awards were selected for their strong leadership and dedication to service in the VCU community and abroad. University Emerging Leaders Award recipients – Indira Miller, Salman Salman, and Anthony Jones. Awards for individuals included the University Leadership Award, the University Service Award, the University Emerging Leader Award, the VCU Alumni Association Award, the William H. Duvall Award for Student Activities & Involvement, the Dr. Henry G. Rhone Excellence in Student Affairs Award and the prestigious Board of Visitors Award. Tien Truong, Ali Salman, Ashley Rivera and Zhina Kamali were recognized for the University Leadership Award. Salman Salman, Indira Miller and Anthony Jones were recognized for the University Emerging Leader Award. Brendan Hood, VCU Alumni Association Award recipient, who was awarded $1,000. Brian Joseph, William H. Duvall Award for Student Activities & Involvement winner, who was awarded $300. Holly Whitt, Dr. Henry G. Rhone Excellence in Student Affairs Award winner, who was awarded $500. Carmine Di Maro and Amanda Famiglietti, Board of Visitors Award finalists, who were each awarded a tuition scholarship worth $2,500. Indira Miller, Board of Visitors Award recipient, who was awarded a one-year tuition scholarship. 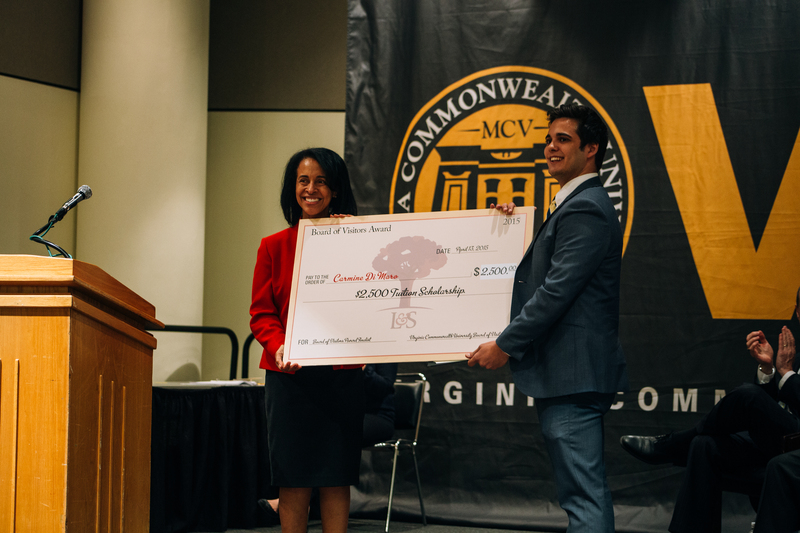 Every year, the Board of Visitors present the Board of Visitors Award to a sophomore, junior or returning senior who has distinguished himself or herself scholastically and provided leadership and service to the University and the Richmond community. This year, Indira Miller was honored, as well as being awarded a one-year tuition scholarship, and finalists Carmine Di Maro and Amanda Famiglietti were both recognized with a $2,500 tuition scholarship. Fraternity and sorority members were also recognized for their leadership and service. Awards for fraternity and sorority life including Fraternity and Sorority Emerging Leader, Fraternity Man and Sorority Woman of the Year, William R. Auchmoody Chapter Advisor of the Year, and the Lynne Chambers Alumni Involvement Award. Individuals were recognized for the contribution to their individual chapters as well as to the Greek community at VCU. Award categories for organizations were best in category, student organization of the year, advisor of the year, most improved student organization, outstanding new student organization, outstanding community service project award, outstanding community service award, outstanding local community service award and outstanding student organization advocacy award. Among those recognized were student organizations which distinguished themselves in their leadership and service throughout the community and beyond. This year’s Student Organization of the Year, United2Heal, sends medical supplies collected from local hospitals to countries overseas that are in need of these supplies. Student Organization of the Year, United2Heal, was awarded $500. Advisor of the Year was awarded to Muslim Student Association advisor Dr. Imad Dimaj. Most Improved Student Organization, Engineering Graduate Student Association, was awarded $100. Outstanding New Student Organization Award winner, National Students of AMF, was awarded $100. Outstanding Community Service Project Award winner, UNICEF, was awarded $100. Outstanding Community Service Award winner, Medical Student Government, was awarded $100. Outstanding Local Community Service Award winner, Medical Student Government, was awarded $100. Outstanding Student Organization Advocacy Award winner, For The Children, was awarded $100. 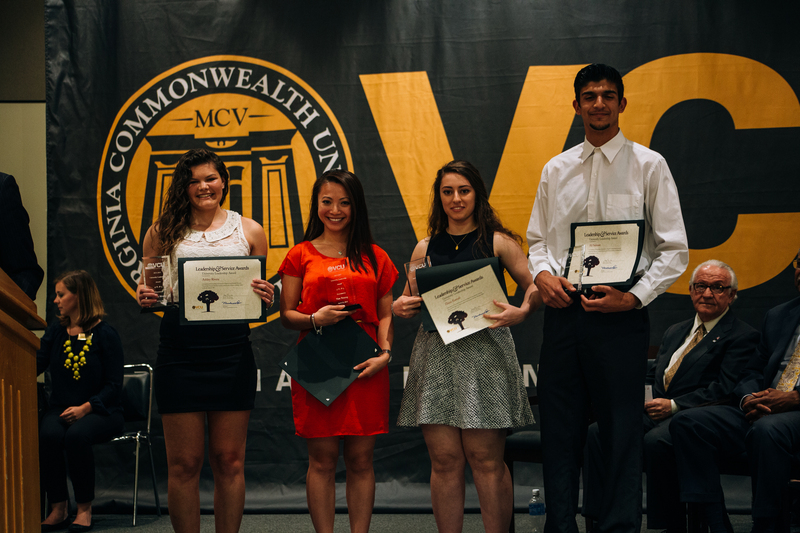 VCU holds the Leadership & Service Awards every year to recognize students for contributions to student organizations, community service and co-curricular excellence. This event is administered through the Division of Student Affairs and managed by staff in the department of University Student Commons and Activities. 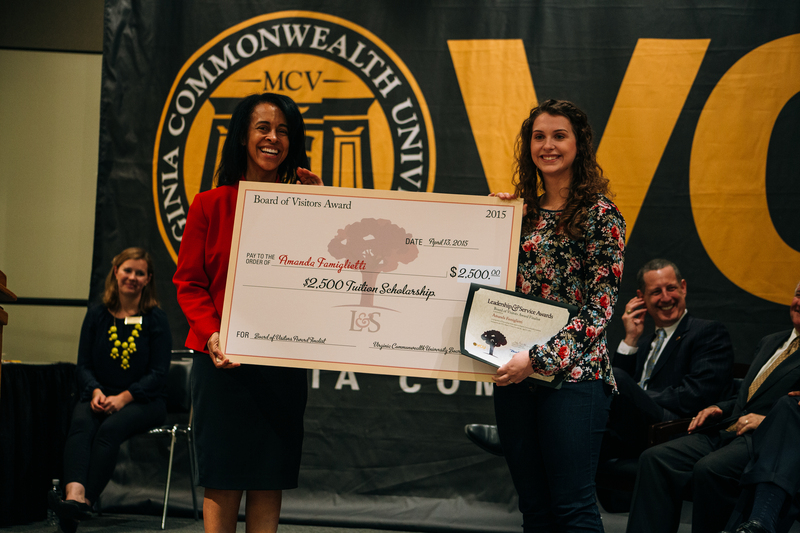 The awards presented by the various committees are considered the premiere awards at VCU for student leadership and service. To obtain more information about the Leadership & Service Awards, please email uscalsawards@vcu.edu.